Walt Disney World is the perfect stop for children, families, and seasoned travelers passing through the spectacular city. With so much to do and so little time in one of the world’s most popular tourist destinations, it’s important to plan ahead to make the most out of your weekend getaway! Home to some of the most popular theme parks in the nation, Orlando is a magical getaway in the center of the sunshine state of Florida. Known for its unique amusement parks and adventure destinations, visitors travel from all around the world to wander the city’s enchanting pursuits and let their imagination run wild. One of the most important factors to plan for at the Walt Disney World Resort is arranging travel to and from the Disney Theme Parks. Disney is about twice the size of Manhattan so it’s important to pre-arrange a budget for a transportation method ahead of time, so your family can fast-track miles of walking and avoid taking multiple modes of transit to move between the surrounding parks. Plan your travel with a private bus driver to enter the world of fantasy with ease as you uncover the hidden gems within the world’s most popular theme park resort. Disney World resort hotel guests have to pay separately for on-site parking, but daily parking costs can add up to as much as a full day in the park if you’re paying to park multiple cars. Additionally, by discouraging people to have their own private cars on the property, guests are encouraged to spend more money on park property and are less likely to be able to travel to other theme parks outside of the main park area. Instead of guests traveling in their own private cars as they’ve done in the past, visitors are now deciding to reserve a private bus, so they can travel outside of the confines of the park in an efficient and relaxing express shuttle. The Disney Express shuttles and monorails are limited to the resort and rarely run between theme parks. Since the Disney shuttles are not able to transport visitors outside of each resort, guests often end up walking long distances and paying added parking charges to get from park to park. Additionally, the Disney shuttles are very subject to how crowded Disney World is. Though the shuttles try to accommodate the crowds, there is often a line so long that you have to wait for several 20-minute buses to get your day started. Shuttles also don’t run as frequently at certain times of the day and are occasionally re-routed based on Disney’s drop-off schedule. In a private shuttle, you can travel to and from the Disney parks seamlessly. When reserving your own private ride, you will be able to travel anywhere within or beyond Disney property. Whether traveling for a school field trip, church outing, corporate event, or bachelorette party, you can sit back and relax as you bypass parking fees and traffic stops along the way. Streamline your trip from pick up to drop off so group members will no longer have to walk long distances to and from the parks. Make sure to plan accordingly when taking a bus to a hotel or resort near Disney World. Depending on the resort you’re staying in they might not have multiple buses for pick-up and drop-off stops around the parks. Resort buses often don’t take you directly to the park and often take several stops at other resorts before getting to your intended destination. In a private rental, you will be able to travel directly from Orlando International Airport straight to the Walt Disney World resort. Replace the Disney Express with the Falcon Orlando private shuttles and ride in style to the most magical place on earth. You will then be able to follow your own schedule along with your unique itinerary around the Disney parks with premier access to simple travel features as you go. Bring your personal belongings along the ride as you store them in the luggage bays above your seats. Although Disney does have a shuttle service with partnered Disney hotels, finding efficient transportation from hotels outside of the park can be a challenge if your hotel isn’t within their partnered network. If you choose your lodging in the neighboring areas around the Orlando International Airport, a private charter bus can serve as a shuttle service to and around the resort’s four main theme parks and beyond. 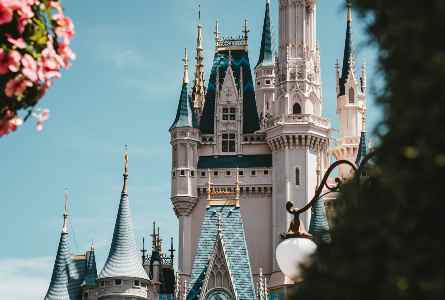 Travel groups can then streamline their travel to and from their hotels to the Walt Disney World Resort as well as any other attractions around the central Florida location. Explore these places to stay in around Disney or Universal Resorts. Groups planning to book a hotel for their trip to Disney World may want to consider options outside of the Orlando perimeter. Expand your hotel scope to the surrounding Lake Buena Vista area and neighboring towns will offer a greater variety of pricing options and provide you with an opportunity to explore other parts of Florida. This is especially important if you’re planning to travel during peak seasons around August, which may also cause a surge in hotel prices. Plan a whole park resort day from beginning to end to ensure you get the most out of your trip. Arrange to ride the rides in the early mornings while the crowds are thin, and the weather is still comfortable. Reserve the most popular rides at the beginning of the day before the lines get long. Do your research ahead of time to prioritize which rides have the longest wait times. Check availability up until the day you’ve arrived since the most popular rides in the park are going to fill up quickly. An essential Disney travel tip is to make sure you’re not wasting money by staying in a Disney-owned resort that isn’t within your budget. It's also important to keep in mind there are an endless amount of attractions to see and rides to ride, so prioritize what you love most. Read the guidebooks and the Disney adventure sites to find out which park attractions are going to be most important for your family. Prioritize the top 10 to 20 events you’d like to do, and your driver will handle the rest; from trip navigation to parking accommodations. Work your schedule around those main events, whether they be firework events, parades, or festivals around the resort. The rest will fall into place. The Magic Kingdom includes Main Street U.S.A., Tomorrowland, Fantasyland, Frontierland, Liberty Square, and Adventureland. Guests can enjoy riding fantasy rides and attending festivals. This scenic park features the world-famous “Illuminations” fireworks show and the iconic Spaceship Earth ride. The Hollywood Studios Park focuses on imitating behind the scenes attractions for popular movies! The Animal Kingdom is home to over 1,700 animals representing 250 different species. Stop by the Tree of Life or The World of Avatar to experience some of the best Disney adventures available in the park. There are only so many hours you can spend in a weekend at Walt Disney World, so how do you decide what rides your family will enjoy the most? Pick from our list of top rides and newest park additions at Disney to start planning your magical itinerary! Animal Kingdom’s popular coaster houses a Himalayan ascent with unexpected twists and turns and thrilling mountain-like features. The Tower of Terror is a frightening elevator car mirrored after “The Twilight Zone.” This thrill-seeking Hollywood ride drops visitors a steep 131 feet. This ride at Epcot provides visitors with a virtual hang gliding experience over the most iconic sights and smells across the globe. Legendary Star Wars characters lead space-bound passengers to planets in a Star Wars cannon flight simulation. The tour can be experienced multiple times, because you visit a new planet on each ride. Sail through the wintry land of Frozen on a private Norwegian vessel. The World of Avatar is a themed event inspired by James Cameron’s Avatar. The popular new landmark is located within Disney’s Animal Kingdom theme park at the Walt Disney World Resort. If you find there’s too much to fit into one weekend extend your Disney adventure into a week-long bus trip! Call us at (407)-274-9808 to get a bus quote that can scale to your budget based on your group’s needs and specific itinerary. Join the Falcon Orlando ambassadors as they transport your group seamlessly around the Walt Disney World Resort. Your driver will be experienced in the area and will be able to map the distance from your hotel to the other park locations. Traveling around the resort or from park to park has never been easier! Leave your cars at home and replace them with a simple shuttle rental to avoid those pesky added parking fees and resort charges. Instead of planning to arrive first thing in the morning when everybody is trying to go to the park and not being able to find a spot for your personal vehicle, a private bus can streamline your trip according to your plan and schedule. Our rental team is available 24/7 to assist you in planning your dream Disney trip!